Though procurement can be a big-picture enterprise, local sectors can also make a difference. A state-sponsored conference in Georgia recently focused on nurturing professionals as well as looking forward to possible improvements. Companies operating around the world can pay attention to these regional developments, especially if they have their desired effects. 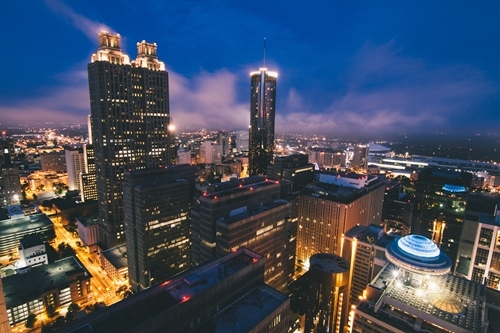 The Inaugural Georgia Procurement Conference comes at a peculiar time for the state. Concerns about supply and shipping activities spread after reports that a section of local Interstate 85 collapsed after a fire. The incident had potential consequences for businesses as well as general commuters, since Atlanta is a major transportation hub. In an April 26 update on the construction project, Marc Mastronardi, Director of Construction, said the new structure needed 61 beams to stay functional and that the last one was set in place. He also said that the bridge rebuilding was in motion unusually quickly and set for completion by June 15. Despite all of this work to be done, the procurement conference itself seems to have played out with a mostly positive outlook on the future, at least according to Forbes. The source said that more than 375 people and at least 225 suppliers attended the event and that key ideas centered around the way Georgia could expand on its existing business structure. State government figures, such as the Georgia Department of Administrative Services Commissioner and Governor Nathan Deal were also in attendance. Deal, in particular, has been vocal about his vision for the state. The source said that he compared Georgia's future to Silicon Valley, and he has already made strong claims about the state's procurement activity specifically. In February 2016, Governing Magazine placed Georgia at the highest spot in a ranking based on numerous categories. At the time, Gov. Deal mentioned the Department of Administrative Services when acknowledging the honor in an accompanying statement. "Governing Magazine placed Georgia at the highest spot in a procurement ranking." "I am proud of Georgia's leadership in our procurement practice, which is a critical factor in the state's competitiveness and economic development," he said. "This award acknowledges the hard work and effort of the entire team at the Department of Administrative Services." To rank Georgia, the survey reportedly considered different factors, such as the role of local e-procurement and certification for both agencies and vendors. These and other categories saw Georgia earn top marks, perhaps increasing the confidence felt in the state. Even in the categories where it didn't place highest, such as in performance measures or relationship management, Georgia still ranked within the top five states. In the general ranking, it beat out states such as California, Massachusetts and Pennsylvania. Procurement remains a visible goal for the state. The Georgia Government Finance Officers Association announced a two-day class for May that includes procurement practices through the Center for State and Local Finance. As a force to help spur on businesses, smart purchasing management can let administrators take specific growth goals into account for cost-conscious planning.